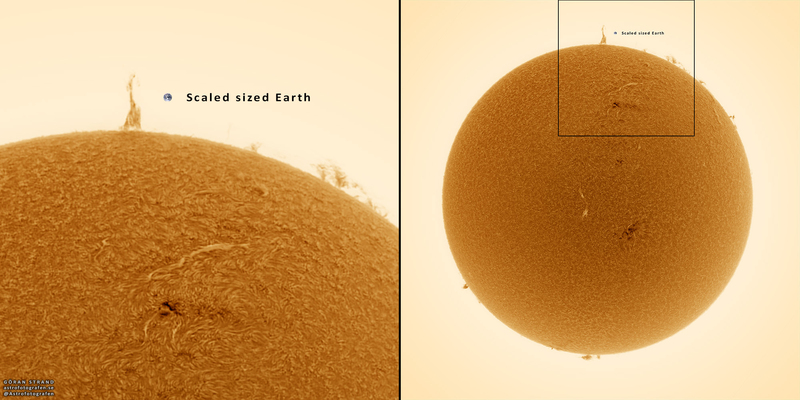 A Swedish photographer recently pointed his telescope and spotted something extraordinary: a solar prominence the size of seven Earth diameters. Oh yeah and it was also shaped like the Eiffel Tower. Göran Strand, the Swede in question, switched telescopes after he spotted that unique feature. 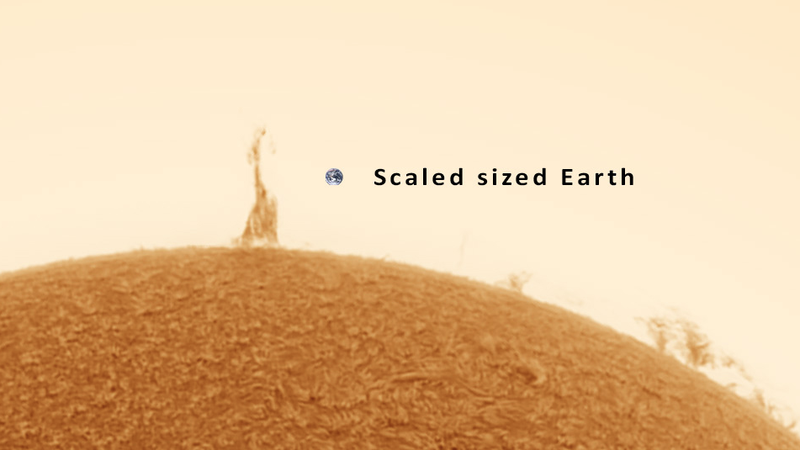 Through his larger Lunt 80mm hydrogen alpha pressure-tuned solar telescope, he photographed about a thousand images and stitched some 300 of them together to make this stunning mug shot of the Sun, including that massive little spike on top. Anybody else think it looks kind of cuddly? Check out a full resolution version of the stunning image here.